Thus, the vampire Dracula sets foot upon the literary stage in Bram Stoker’s 1897 novel. 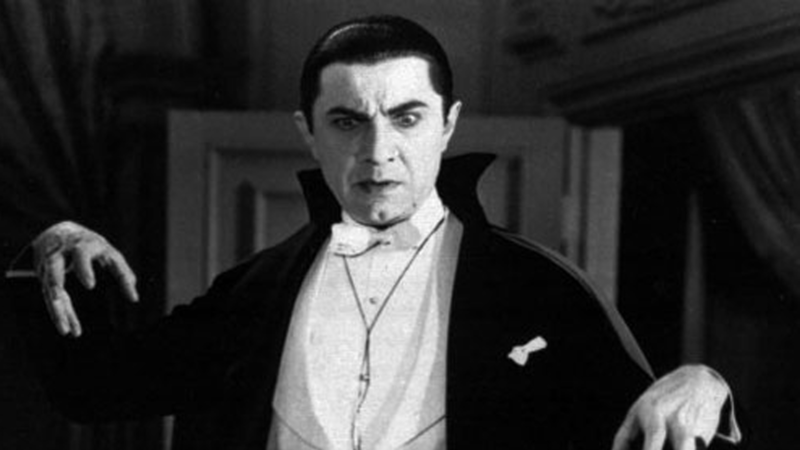 Since then the vampire, and especially Dracula, has appeared in countless books, essays, articles, films, and plays to become one of the most popular cultural icons in history. Somewhere between a nightmare of immortal terror and an object of fascination and reverence, the vampire has been an enduring part of the mythologies of diverse cultures from around the world. He is the anti-hero, the tempting lover, the villain, the mysterious stranger, and the monster. Most people are familiar with vampires from books and movies, featuring a terrible yet compelling being rising from his grave to drink the blood of the hapless living. But the vampire did not originate in silent films nor in the dime store novels of an eager post-Industrial era. It has existed in almost every culture’s folklore and mythology throughout history; from the night-roaming spirits of ancient Greece to the bloody masters of Romanian castles to the assorted myths and fictions of modern America. To be certain, the vampire has not always been called such, but every culture has proposed some manner of creature who cheats death by preying on the living; engaging in a fatal symbiosis by draining a divine essence (typically blood) and denied eternal rest for violating the mores and morality of the community, a scourge against established society. The vampire is a powerful symbol to those who identify with it and a deeply intriguing metaphor for the collective fears and perspectives of the societies within which it dwells. But over the years, what began as a folktale of wandering spirits has accumulated a plethora of characteristics and interests which are now lumped together under the collective metaphor of the vampire. Yet the figure of the vampire and the ways in which we draw upon it have undergone many transformations over time. It is then these transformations that reveal something about our own relationships to impurity, danger, and death today. In other words, my aim here is not to address the symbol of the vampire as a relatively constant set of cross-cultural characteristics and meanings but to offer a reflection on the differences in symbolic expression over time as explained by changes in cultural context. Following the foundations of the Western concept of the vampire, from Classical Antiquity to Medieval Europe, is a complex process. But not only does the vampire symbolize the greatest fears a society has about itself but it also embodies myriad regional beliefs concerning evil, death, and damnation. To wit, a kind of perpetual moral panic in iconic form. It personifies the darkest aspects of life, the pain of disease, questions of evil in nature, and the struggles against spiritual failure. Following the institutionalization of Christianity across much of Europe in the Middle Ages, the vampire mytheme then metamorphosed through a set of profound changes to become the vampire we recognize today; though it yet remains the repository of our deepest collective fears. I am using the term ‘moral panic’ in the sociological sense. As in, fear spread among a large number of people that some evil threatens the well-being of society as a whole or as “the process of arousing social concern over an issue – usually the work of moral entrepreneurs and the mass media.” See Scott, John, ed. (2014), “M: Moral panic”, A dictionary of sociology, Oxford New York: Oxford University Press, p. 492. Moral panics arise when distorted mass media campaigns are used to create fear, reinforce stereotypes and exacerbate pre-existing divisions in the world, often based on race, ethnicity and social class.